Water softener or filter: This is a must for people with hard water because mineral deposits can build up on your hair, making it dull and prone to damage. The Water Quality Association is a not-for-profit organization with lots of good information on water softeners, filters and purifiers. Shampoo: Use a mild shampoo that’s free of sulfates and soap. If you have a greasy scalp, there’s no harm in shampooing as often as you need to. Just remember that wet hair is weak and should be handled gently. Conditioner: Look for professional quality conditioners containing Panthenol, Proteins and Dimethicone, ingredients that cling to the hair shaft, infuse it with moisture and fill in damaged cuticle gaps. You can also massage conditioner containing Panthenol into your scalp to improve the moisture content of hair as soon as it starts to grow. Leave-in conditioner with sunscreen: A good leave-in conditioner should moisturize hair and make it manageable without weighing it down. Look for ingredients like Benzophenone-4, which protect hair and scalp from the sun, and help preserve your color. Microfiber hair towels: Microfiber hair towels, like those made by Aquis, are super-absorbant and cut down on drying time. Gently blot and squeeze your wet hair with the towel - never rub. You can also wear as a turban to help absorb excess water. Wide-toothed comb: Look for a wide-toothed comb with smooth, rounded teeth. Any jagged edges will catch on hair and roughen the cuticle. Cushoned boar bristle brush: Boar or natural bristle brushes are exellent for distributing sebum from your scalp to the hair ends. A rubber cushion has more “give” to it and is easier on hair. Satin pillow case: To cut down on friction while you sleep, use a satin pillow case instead of cotton or flannel. Humidifier: If you live in a dry climate or have trouble with static electricity in the winter, a humidifier can help by putting moisture back into the air. You can also simmer a pot of water on the stove to get the same effect. Flexible accessories: Use accessories that are entirely made of plastic or cellulose acetate. These materials are more bendable than wood, metal, horn or bone, and are gentler on your hair. Coated elastics: You can find these cheap at any drug store for securing ponytails and braids. Keep a few in your purse for hair emergencies. Silk Scarves: Instead of wearing a friction-inducing hat, switch to a fancy silk scarf. Your hair will be smoother and have less static, and you’ll look extra-stylish! 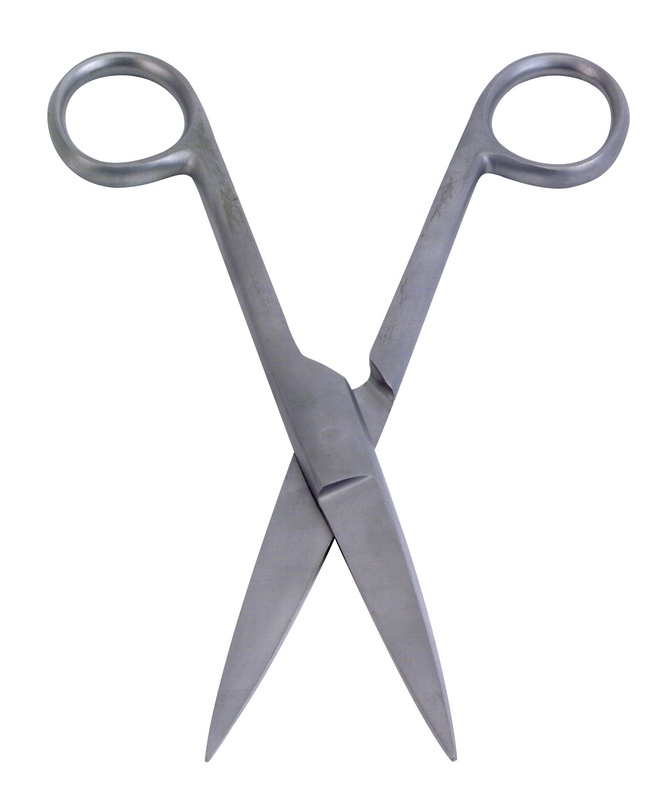 Professional-grade scissors: Invest in a pair of very sharp metal scissors for at-home split end trims. You can find them at beauty supply stores and online. A human head has an average of 100,000 hair follicles. Blondes have the most at around 140,000 hairs, brunettes have an average of 110,000 and redheads have about 90,000. Each hair follicle grows a new hair an average of 20 times. During a baby’s first year of life, all of the hairs on the head grow at the same rate. 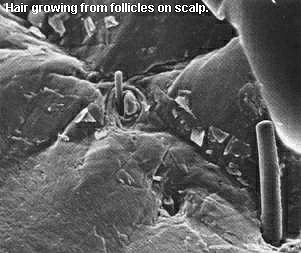 Hairs on an adult scalp have different growth cycles. It’s normal to lose between 50 and 100 hairs each day. Up to 90% of the hairs on your head is actively growing at any one time. The number of follicles capable of growing hair declines naturally over the years. Hair grows approximately ½ inch per month. Hair is made up of about 97% protein and 3% moisture. Chemotherapy can cause hair to fall out because the drugs target rapidly growing cells, including cancer cells, hair cells, and cells in the bowel lining. Excessive shampooing doesn’t cause your hair to fall out. Hair that falls out in the shower was ready to come out on its own, and has already restarted the growth cycle. There are three types of hairs recognized among humans: Mongoloid (straight, black hair belonging to people with Asian ancestry), Caucasoid (wavy or straight hair ranging in color from black to blonde belonging to people with European and Indian ancestry) and Negroid (black and tightly curled hair belonging to people of African descent). Wearing the wrong hair style can lead to breakage and even temporary hair loss, called traction alopecia. This hair loss is caused by excessive tension on the hair and scalp and is usually first noticed around the hair line. Although the hair loss may take years to show up, there are usually early warning signs including redness, swelling, itching, bumps and scales. Thinner, shorter vellus hairs may take the place of longer terminal hairs. Traction alopecia and excessive breakage can easily be avoided when you know which hair styles to steer clear of. Any style requiring excessive heat. If you straighten or curl your hair every day with heated irons, you could be setting yourself up for serious breakage. Repeatedly heating the hair shaft speeds up the cycle of hair damage: lifting and wearing of the cuticle, exposure of the cortex, splitting and fraying of the hair shaft and finally breakage. Hair Extensions. Hair extensions continue to grow in popularity because they offer a quick fix: long hair without the wait. They can be applied in a variety of ways - weaving, sewing, heat fusing, gluing, and clamping - all of which can cause serious damage to the scalp and hair you already have. In addition, extensions require constant conditioning since your hair’s natural oils don’t lubricate the foreign hair. If you want long hair, it’s best to take the time to grow your own. But, if you just can’t wait, make sure the person who applies your extensions is a true professional. Don’t be afraid to ask for references - a real professional won’t be offended. Corn rows and other tight braids. Hair that’s tightly braided either close to, or away from the scalp, are big offenders when it comes to causing traction alopecia. 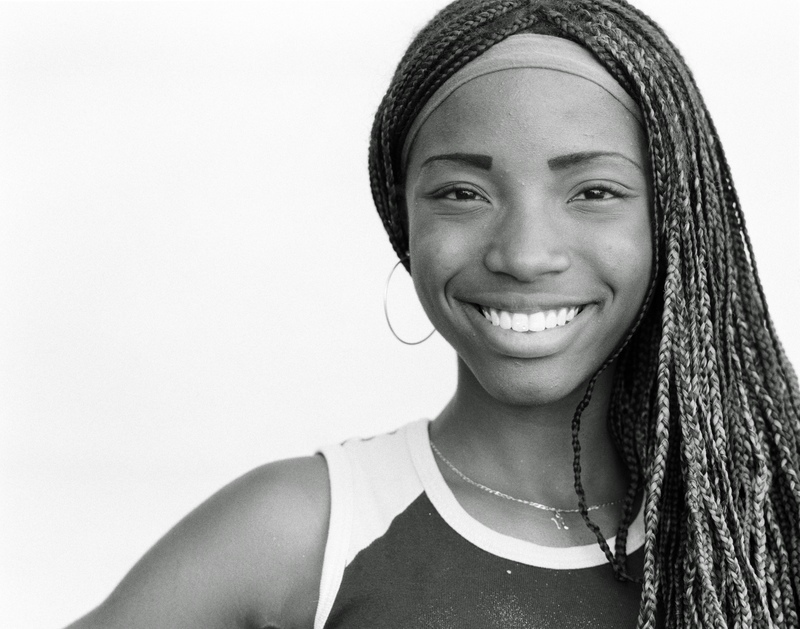 If you love the look of braids, make sure your hair braider goes easy on your scalp. Also, have the braids removed every so often to give your scalp a rest, and be sure to practice massage to keep the scalp muscles loose and the blood circulating. Tight ponytails and buns. Many ballerinas suffer from traction alopecia because they regularly wear their hair scraped back into tight buns. The best solution is to loosen the style, wear it less often, and practice daily scalp massage to counter the tightness of the hairstyle. Metal barrettes. Metal barrettes can literally slice your hair shaft if you wear them too often and in the same spot. Try switching to barettes made completely out of plastic or celluloid acetate, which are more flexible and forgiving on the hair. Rigid hair sticks & forks. Hair sticks and forks made out of bone, horn, metal or wood don’t have any “give” to them and can cause spot hair loss if worn on the same part of the scalp each day. Once again, it’s best to opt for plastic sticks that bend and adjust to your head’s shape. Bobby pins. Professionals like nurses and waitresses who secure their hats with bobby pins close to the scalp find they begin to lose their hair in those areas. If you must use pins to secure a hat every day, try to do so loosely and remove them often to give your scalp a break. Uncoated elastics. Never use a regular rubber band or other uncoated elastic to secure a ponytail or braid. These will stick to the hair, causing all sorts of tangles and breakage when you try to remove them. The scalp isn’t just another area of skin on the body; it has special characteristics that make it hospitable to growing hair. The scalp has numerous sebaceous glands that produce sebum, a natural oil that lubricates the hair. Skin on the scalp is thicker than on any other part of the body and is directly attached to the epicranius, a major muscle that covers the skull. Blood circulation to the scalp nourishes the hair follicle and helps it grow healthy hair. Environmental and emotional stress can cause the scalp muscles to contract, leading to poor blood circulation and headaches. When the nourishing blood supply to the hair follicles is limited, hair may not get the nutrients it needs to grow healthfully. The best way to keep the scalp muscles loose and the blood flowing is through regular scalp massage. You don’t need to go to an expensive salon or hire a masseuse to give you regular scalp massages, although it sure would be nice! Instead, you can easily practice do-it-yourself massage that can noticeably improve your hair’s condition and growth. Put your hands on either side of your head and use your thumbs and fingers to make small circles. Don’t forget to include the forehead and back of the neck. Try to move the skin around as much as you can (without rubbing your hair) to really get the blood flowing. Grab your hair at the roots and gently tug, then release. With your hands on either side of your head and hands over your ears, gently squeeze your skull for several seconds then release. For added relaxation, combine your massage with aromatherapy (a candle, essential oils, incense) and soft music. With regular massage, you should begin to notice a change in your hair’s condition within three months, the time it takes for new hair growth to reach the surface. The skin on the scalp is susceptible to redness, scaling and swelling from a variety of conditions. If you notice any of the following symptoms, be sure to contact a dermatologist for treatment. Psoriasis symptoms: very red skin covered by white scale. Skin bleeds easily when scratched. Treatment options: creams containing tar, salicylic acid, zinc sulphate, anthralin or corticosteroids; ultraviolet (UV) therapy. Pityriasis Amiantacea symptoms: Thick white scale that clings to the base of the hair. Treatment options: creams containing salicylic acid and tar. Seborrheic Dermatits (“Cradle Cap” in infants) symptoms: redness, oiliness, greasy yellow scales and itching. Treatment options: frequent shampooing; creams containing sulphur, salicylic acid or resorcinol. Lichen Simplex symptoms: white scale on a red base, normally located near the nap of the neck. Severe itching. Treatment options: topical steroid creams and camphor. Dandruff symptoms: non-inflammatory scaling. Treatment options: tar and salicylic acid creams, medicated shampoos. Tip: The scalp is susceptible to sunburn because it’s the part of your body that’s closest to the sun. Before spending time outdoors, comb a sunscreen product or leave-in conditioner with Benzophenone-4 through your hair, concentrating on the scalp and ears. Better yet, wear a head covering whenever you spend time in direct sunlight. Believe it or not, natural redheads often have a harder time taking perms and relaxers than people with other hair colors. The reason has to do with the special hair protein, keratin. The keratin in naturally red hair contains up to twice as much sulphur as other natural hair colors. This sulphur forms very strong chemical links called disulphide bonds that join the keratin chains together. In fact, disulphide bonds are some of the strongest bonds known to nature. In order for a perm solution or relaxer to work, it must break the disulphide bonds and soften the keratin. The hair is forced into its new shape, usually with rollers, then a neutralizing lotion is applied to reform the bonds and harden the hair. Since redheads have more disulphide bonds to break, a regular perm solution or relaxer may not be strong enough to reshape the hair. A stronger solution can be used but should only be applied by a knowledgeable professional. Otherwise, the disulphide bonds could be irreversibly damaged, leading to massive breakage. What gives hair its color? Cells in the hair bulb called melanocytes produce a pigment called melanin. The melanin is carried into the cortex as the hair grows upward. Phaeomelanin is the name of the pigment found in red and blonde hair; Eumelanin is a darker pigment found in black and brown hair. A new study shows that natural redheads need some 20% more anesthesia during surgery than blondes and brunettes. Dr. Edwin B. Liem, an anesthesiologist at Louisville’s Outcomes Research Institute, discovered that red hair “is apparently an important element” in the decision of how much anesthesia will safely render a person unconscious while increasing pain tolerance and suppressing memory. "Redheads are likely to experience more pain from most stimuli — surgery is just one example — and therefore require more anesthesia to alleviate that pain,” Liem says. So, if you’re a natural redhead, be sure to have a long talk with your anethesiologist before going under the knife! Water that’s too hard can cause serious problems for otherwise healthy hair. Hard Water can come from well or city water and contains minerals like calcium and magnesium. One sign that you have hard water is if your shampoo doesn’t lather well. Another is if you notice “soap scum” in on the bath tub or shower wall. The mineral deposits can build up on hair, causing it to discolor (taking on a reddish tint) and become brittle, while your scalp can become dry and itchy. Copper poses trouble for blonde or bleached hair, which can take on a greenish cast. Copper algicides in pools or high levels of copper in water pipes are usually to blame. 85% of U.S. homes have hard water. Hard and very hard waters are found in some of the streams in most of the regions throughout the country. 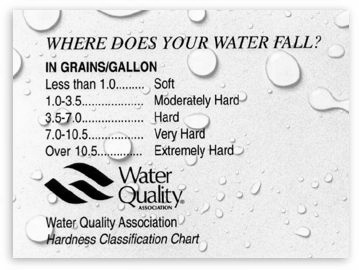 Hardest waters (greater than 1,000 mg/L) are in streams in Texas, New Mexico, Kansas, Arizona, and southern California. The softest waters occur in parts of the New England, South Atlantic-Gulf, Pacific Northwest, and Hawaii. Moderately hard waters are common in many of the rivers of the Tennessee, Great Lakes, Pacific Northwest, and Alaska. Install a water softener. A water softener uses salt or sodium ions to filter out hard water minerals. They are available in both manual and automatic models. Invest in a “No More Bad Hair Days Kit”. Hair colorist Robert Craig has created a kit that allows you to test your water - even on the road - and use the appropriate products to protect your hair from mineral deposits. The kit comes with 12 test strips, three shampoos for different water (soft, moderately hard and extremely hard) and a spray on leave-in conditioner. Simply dip one of the test strips in a sample of water and compare the results to the corresponding colors of the bottles. You can then choose the right shampoo formulated to work in that type of water. For more info, visit RobertCraig.com. The minerals present in hard water have large molecules that leave scales and caked buildup on pipes, as well as your hair. Minerals in hair care products have microfine molecules that may be able to penetrate the scalp and nourish the hair follicles. These “good minerals” include Silicon, Iron, Sulphur and Calcium. Homeopathy is a 200 year-old system of medicine founded by a German physician, Dr. Samuel Hahnemann. In theory, homeopathic remedies use natural substances to help the body heal itself. Very small doses are used and side effects are rarely reported. That said, homeopathy remains a popular holistic practice among those who remind us that acupuncture and vitamin supplements were once considered suspect by the western medical establishment. Will Pantothenic Acid Supplements Help Hair Growth? Nutritionally, Pantothenic Acid is important to healthy hair and skin. As a recognized growth stimulant, the vitamin helps the body metabolize protein, which is the major component of hair. Although taking extra Pantothenic Acid has not been proved to promote faster or more abundant hair growth, a deficiency can lead to fallout as well as premature graying. Studies have shown that hair fallout and graying in rats is caused by a Pantothenic Acid deficiency. Deficiencies in humans are rare, however, because pantothenic acid is found in so many foods, including yeast, organ meats (liver, kidney, heart, brain), eggs, milk, vegetables, legumes and whole grains. In fact, the word, “pantothenic,” comes from the Greek word pantos, meaning “everywhere.” People who eat mostly processed foods, are alcoholic, or who take antibiotics, may experience fatigue, one of the most common symptoms of a Pantothenic Acid deficiency. Other symptoms can include depression, hypoglycemia, vomiting, abdominal cramps, insomnia, muscle cramps, upper respiratory infections, and tingling feet and hands. As a water-soluble vitamin, Pantothenic Acid can’t be stored in the body. However, it can be made in the body by bacteria found in human intestines. The recommended daily intake of Pantothenic Acid for adults is 4 to 7 milligrams, although high doses (more than 1,000 mg. daily) have not proved to be toxic. In fact, the only side effect reported after consuming 1,500 mg for several weeks was a sensitivity in teeth. That said, it’s never wise to take more than the recommended dosage or to start a supplement regimen without first consulting your doctor. Porosity is the ability of water to get into and out of the cortex through the cuticle scales. Very healthy hair has intact cuticles that let very little moisture in and out. Hair with a roughed up cuticle that allows water to easily pass in and out of the cortex is over-porous. A damaged cuticle allows water to swell the cortex, then to seep out when hair dries. This weakens the hair and makes it very dry, causing ends to split when hair is brushed, combed or styled. Once the cuticle is damaged, it will continue to get worse until it the hair breaks off or naturally falls out. So, what causes hair to become over-porous? Hair becomes over-porous when the cuticle is lifted and permanently loosened, allowing the inner cortex to become exposed. This can be caused chemically, through hair color and perms; mechanically, by brushing and blow drying; and environmentally by exposing your hair to wind and UV rays. It may seem obvious that heavy brushing and overall rough handling can damage your hair. But exactly how do chemical processes do their damage? In order to permanently color, wave or straighten the hair, the chemicals have to get into the cortex and react with the keratin inside. This is achieved through high temperatures or alkaline lotions. They separate the scales and let the chemicals pass through into the cortex where they deposit color or change the structure of the hair. At the end of the processing, the cuticles close back up. But frequent processing or inexperienced application can cause the scales to remain permanently open. Gentle treatment of your hair when brushing, combing and styling is always the first way to cut down on cuticle damage. For women with shoulder-length and longer hair, and especially those who chemically process their hair, I recommend only using a brush when you absolutely must. Instead, invest in a wide-toothed comb that’s perfectly smooth. Use the comb anytime you would normally use a brush: to detangle, style, or to “comb out” before bed. Be very gentle, and always start combing from the bottom of your hair and work your way up as you undo any snarls. When combing your hair, you’re more likely to take your time instead of tearing through it like you might with a brush. That’s because a comb won’t slide through tangles, even with a lot of force, like with a brush. You have to gently work out the tangle, which is ultimately better for your hair. Avoid soap-based shampoos or those containing sulfates. Soap is alkaline, which roughs up the cuticle. (You’ll see the ingredient listed as “saponified oils” of almond, jojoba, olive, etc. Saponification is simply the process of adding sodium or potassium hydroxide – also known as lye or potash – to animal fats or vegetable oils.) The result is an alkaline soap solution that swells and lifts the cuticle. On the chemist’s pH scale, alkalies have numbers greater than 7, while acids have numbers less than 7. 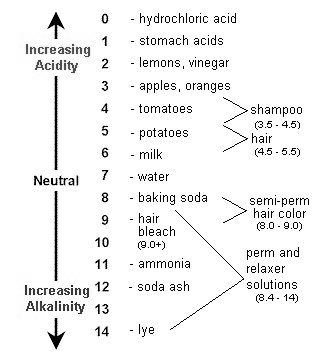 Hair is more on the acidic side, and has an ideal pH of 4.5 to 5.5. When a hair is placed in an alkaline solution (like water and baking soda), the cuticle scales swell and lift, leaving the hair with a rough, dull texture. When hair is placed in a mild acidic solution (water and lemon juice or vinegar), the cuticle is sealed, leaving the hair smooth and shiny. Bleaches, hair colors, permanents and relaxers are all alkaline solutions that lift the hair’s cuticle to create the desired results. In addition to roughing up the cuticle, soap-based shampoos also leave filmy deposits behind, which is why hair can appear extra dull after weeks of use. That’s why our great-grandmothers often followed their hair washings with a lemon or vinegar rinse. With a pH of 2, the acid rinses would remove buildup and reseal the hair’s cuticle that had been lifted by the alkaline soap. Sulfates are detergents that can strip the hair of its natural oils. (Two common sulfates are sodium lauryl sulfate, and sodium laureth sulfate). Look instead for shampoos with gentle surfactants made from amino acids, fatty acids and sugar. Words to look for on the label include Alkyl Polyglucosides, Sucrose, Polyglucose and Glutamate. Use conditioners containing proteins (Silk Protein, Wheat Protein, etc.) which fill in cuticle gaps and prevent excess moisture from seeping into and out of the cortex. If you don’t know what you’re doing, have a professional stylist color or perm your hair. Professional stylists know the chemicals they’re working with and how long to leave each one on. A professional can also tell you if your hair is healthy enough to receive a chemical process (see Secret #1) or if you should work on its condition first. 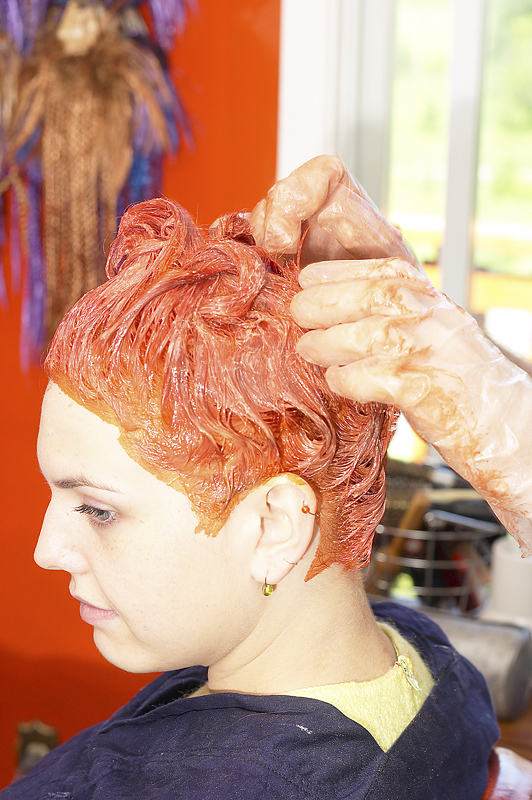 If you prefer to color or perm at home, be sure to follow the directions exactly to prevent excessive damage. Ask your stylist to use a temporary hair color or a semi-permanent texturizer to create soft waves. (ISO Nexture is a new “semi-permanent styling texture treatment” that makes hair wavy and lasts up to 20 shampoos.) Temporary procedures are gentler to the hair because they don’t permanently alter the hair’s structure inside the cortex. Remember, you can’t heal split ends. The only way to get rid of them is to trim them off with very sharp scissors. If you choose to trim your split ends yourself, invest in a pair of professional-grade scissors from a beauty supply store to ensure a clean cut. If you don’t have time to trim, you can give the impression of healthy ends by applying a silicone serum that temporarily “glues” the frayed ends together. The effect will disappear, though, with your next shampoo. If you have unmanageable, “flyaway” hair or excessive breakage, your problem probably has to do with friction. Whenever you brush or comb your hair, remove a hat or sleep on a cotton pillowcase, you’re creating hair-damaging friction. Friction can lead to hair breakage because it wears down the cuticle – the hair’s protective outer layer. Friction also causes static electricity charges to build up on your hair. The “charged hairs” repel each other and won’t lay smoothly, which leads to flyaways. You may notice that your hair’s unruliness increases on hot, dry days, or in the winter when the heater is running full bore. That’s because less moisture in the air leads to more static electricity to build up on your hair. 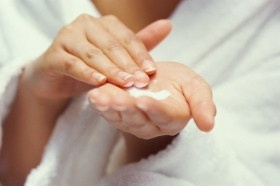 To counteract the problem, you’ll want to use a moisturizing conditioner that smooths the cuticle. Smooth hair is less prone to friction and static buildup. Wet hair is particularly vulnerable to friction. When hair is wet, the cortex swells causing the edges of the cuticle scales to lift. Hair is more “roughed up” and should therefore be treated very gently when shampooing or swimming. 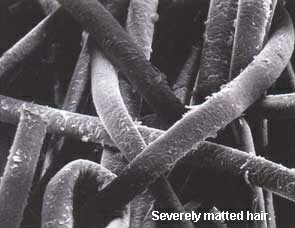 Serious matting and tangles can develop as the cuticles stick to each other and cause the hairs to intertwine. 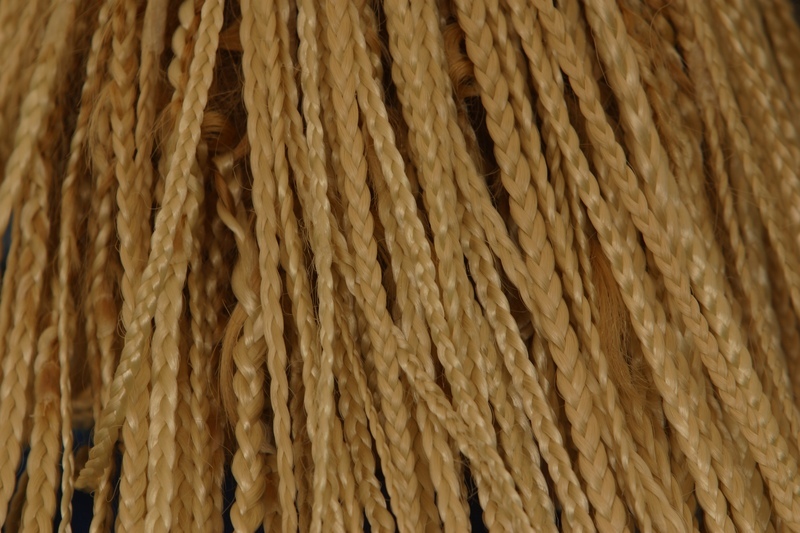 Usually, the tangles can be worked out with a little patience and a wide-toothed comb; occasionally, however, the mattes have to be cut out because the individual hairs are just too rough and knotted. A good way to combat flyaways is to keep a small bottle of leave-in conditioner or even hand lotion with you. Rub a pea-sized amount between your hands and smooth them down either side of your hair. The conditioning agents should leave your hair smoother and moisturized, which will keep flyaways at bay. If your hair is often full of static when you wake up in the morning, you may want to invest in a satin pillowcase. Satin is a much smoother surface than cotton and will allow your hair to slide easily as you move your head during the night. A humidifier or even a pot of boiling water on your stove is a great way to add extra moisture to dry air. When you can’t avoid friction – like while shampooing or brushing hair – be sure to perform the task as gently as possible. Also remember that wet hair is even more fragile than dry hair and that you should never, ever brush wet hair. Instead, use a wide-toothed comb without seams or rough spots that could catch on hair. If you always wished you had straight or curly hair, you may soon be able to have your wish simply by popping a pill. Scientists at L'Oreal say it's possible to alter the hair bulb deep in the follicle and actually change the shape of your hair from naturally curly to straight, and vice versa. They're working on a hormone pill that would transform “hook-shaped” bulbs responsible for curly hair into straight-shaped bulbs that produce straight hair. They also say this same technology can be used to turn gray hair back to its natural color. Natural hair types, colors, and textures are the result of the genes passed down from our ancestors. Scientists have identified three main races that influence hair types today: Mongoloid, Caucasoid, and Afroid. Mongoloid: Mongoloid hair originated with people from the Orient. It is very straight, coarse, and black in color. Perfectly straight keratin bundles and a round hair shaft account for the thick, straight texture. Caucasoid: Caucasoid hair is more varied in appearance, since Caucasian ancestors range from fair-skinned people of northern Europe all the way down to India. Caucasoid hair ranges from the palest blonde to the darkest black, as well as wavy, straight, curly, thick, or thin. An oval hair shaft with straight or wavy keratin bundles may account for the variety of Caucasoid hair. Afroid: African hair comes in varying degrees of black and brown coils. The hair shaft may be oval and the cuticle sharply kinked at the edges. African hair can be dry and easily damaged due to its twisted structure and inability for sebum to easily lubricate the hair shaft. Hair gets its shape depending on the shape of the hair follicle and the opening to the scalp or skin. The final shape of the hair follicle occurs as the keratin hardens and both disulphide and hydrogen bonds hold it in place. Disulphide Bonds: As discussed earlier, disulphide bonds are extremely strong and give hair their permanent shape. These bonds can only be broken and hair texture changed with strong chemicals like perms and relaxers. Hydrogen Bonds: Hydrogen bonds also exist within keratin and are much weaker than disulphide bonds. They give hair flexibility and can be easily broken with water. The hydrogen bonds reform themselves as they dry, allowing for temporary hair styling with rollers and other methods. Whether hair appears dense or sparse on the head usually depends on two factors: how many hairs a person has and how thick the diameter of the hair shaft is. The number of terminal hair-shafts on a head ranges from 100,000 to 150,000. 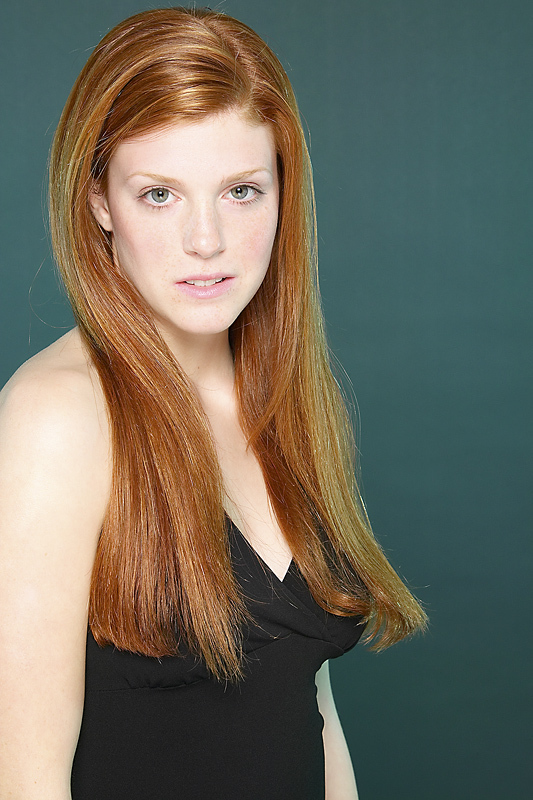 Natural redheads tend to have the least amount of hair while blondes have the most. Interestingly, National Geographic reports that in our world of 7 billion people, the most “typical” person is a 28-year old Han Chinese male.1 That means that the most typical hair type in the world today is straight, black, and Asian. By 2030, however, the most typical human – and hair type – will be Indian. Each hair has a life cycle in three distinct phases: anagen, catagen, and telogen. These phases occur concurrently in individual hairs, preventing hair from all falling out at once. Anagen (growing): Anagen is the active growth phase, which can last 1,000 days or more without interruption. On average, hair grows an average of ½ inch per month, or 6 inches in a year. As humans age, the anagen phase may shorten, producing shorter, finer hairs that may result in the appearance of thinning. How long a person’s hair grows depends on genetics and varies between genders. The Anagen phase occurs in several stages. Stages 1 through 5 are known as proanagen, and stage 6 is known as metanagen. In stage 1, cells at the bottom of the epithelial sac (the “secondary germ”) begin mitotic activity (cell division). 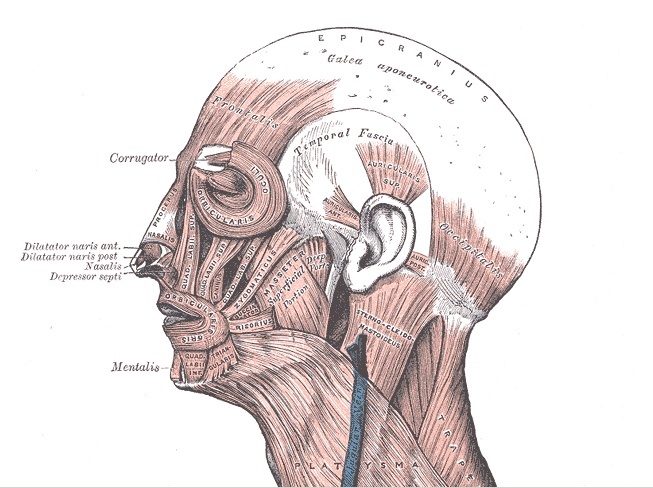 In stage 2, the lower part of the follicle grows down and encloses part of the dermal papilla. Cells in the dermal papilla enlarge and become separated by an extracellular matrix. At the same time, the inner root sheath appears as a keratinized structure overlying the matrix. In stage 3, the keratinizing inner root sheath takes on a conical shape and the cortex starts to differentiate. Tyrosinase activity and melanogenesis begin the process of melanin production in melanocytes located in the matrix. In stage 4, cortical cells begin to become pigmented, while the cortex continues to keratinize. In stage 5, the hair shaft penetrates the inner root sheath at the sebaceous duct. In stage 6, the follicle is fully developed. Healthy hair growth is also contingent on proper nutrition and overall good health. Hormones also play an important role in determining the length of the growth cycle with thyroid hormone speeding up growth in resting hair follicles and androgens (male hormones) affecting hair growth and thickness. Oestrogen slows hair growth but makes the anagen phase last longer, which is why many pregnant women report longer, lusher hair. Catagen (intermediate): Melanization stops just prior to the catagen phase, which occurs when mitosis in the matrix decreases and then stops. This short phase lasts for approximately 10 days. During this time, keratinization of the hair shaft continues and the terminal portion of the hair becomes club shaped. This club remains unpigmented.1 The base of the follicle and the club hair continue to move upward while the inner root sheath disintegrates. The vitreous (or “glassy”) membrane that is the basement membrane of the outer root sheath, thickens during this phase, while the dermal papilla loses its blood supply and extracellular matrix. Telogen (resting): Telogen lasts for some 100 days during which the club is held in the epithelial sac. The dermal papilla, now devoid of its blood supply, appears as a tightly packed ball of cells. As a new hair grows it may push out the old hair, causing it to fall painlessly. At any given time, up to one in ten hairs on a human head is in the telogen phase.2 It’s perfectly normal to lose up to 150 hairs each day through shedding without worrying about hair fall being excessive. 1 Dawber, Rodney, Diseases of the Hair and Scalp, p. 7. In humans, hair follicles first begin to develop in the eyebrows, chin and lip areas when a fetus is between 9 and 12 weeks gestation.1 In the “pre-germ” stage of development, epithelial cells crowd in the basal layer of the epidermis. Mesenchymal cells (undifferentiated stem cells that differentiate into a variety of cell types) cluster beneath the epithelial cells, which then elongate to form the hair germ. As the hair germ enlarges, it grows downward and becomes asymmetrical. The solid column of cells is known as the hair peg. dermal sheath. The entire development of the hair follicle is completed by about 22 weeks of gestation. Two enlarged areas then appear at the bottom of the follicle: the top enlargement is the precursor of the sebaceous gland and the lower bulge is the future site of the arrector muscle attachment. In some follicles (in the areas including the groin, areolae and face), a third bulge appears above the sebaceous gland enlargement to form gland. Above the hair bulb matrix, a cone of cells differentiates from the matrix and goes on to form the cortex and cuticle of the hair. 1 Dawber, Rodney, Diseases of the Hair and Scalp, p. 3. There are three types of hair in humans: lanugo, terminal and vellus. Lanugo Hair: Lanugo hair (foetal hair) develops at about the third month post conception. These hairs grow at the same rate all over the baby’s body are very fine, and lack a medulla. They shed in favour of vellus hair at 36 to 40 weeks of gestation. Vellus Hair: Vellus hair is short, fine hair that may be hard to see with the naked eye. 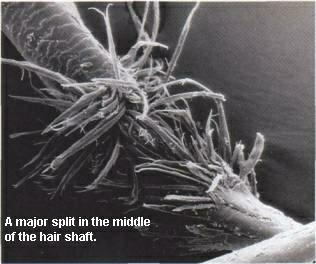 These hairs develop in the womb about 4 weeks before a baby is born. They appear on most every part of the body except for the lips, back of ears, palms, soles, the naval, scar tissue, and some parts of the external genitalia (are they on eyelids?). The hairs are usually no longer than 2 mm long, do not have a medulla, contain little or no pigment, and are not attached to a sebaceous gland (glands in the dermis that secrete an oily/waxy substance called sebum to lubricate the hair and skin). Vellus hair acts as thermal insulation for the body. Terminal Hair: Terminal hairs are found on the head and other parts of the body and grow from follicles with sebaceous glands. During puberty, an increase in androgen hormones causes many vellus hairs to be replaced by longer, darker terminal hairs in both men and women, although men usually develop them in more places. These include the face, pubic area, armpits, abdomens, legs and arms. Terminal hairs often contain a medulla. 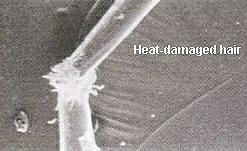 Terminal hairs are affected by both sweat and sebaceous glands. A. Sweat Glands: Two types of sweat glands exist in humans, eccrine and apocrine glands. 1. The eccrine glands cool the body by producing sweat, a watery liquid comprised of the chemicals or odorants 2-methylphenol (o-cresol) and 4-methylphenol (p-cresol), as well as a small amount of urea, that exits the pores on the epidermis and evaporates. These glands also supply the skin with a constant supply of water and nutrients. It is believed that humans have between 2 and 5 million sweat glands in the body, with the highest concentration in the palms of hands, soles of feet, forehead, and underarms. The scalp and forehead also sweat through the eccrine glands. Eccrine glands do not require a hair to exit the body, instead relying on individual pores. B. Sebaceous Glands: In humans, sebaceous glands exist in conjunction with hair and are most prevalent on the scalp and face (approximately 400 to 900 per square centimeter). They secrete an oily substance called sebum which lubricates, waterproofs and protects the hair and skin. Androgens (male hormones) are important factors in determining the amount of sebum secreted from sebaceous glands all over the body. The word Sebum is Latin for “fat” or “tallow.” It is, indeed, made up of fat in the form of lipids, as well as wax and dead cells. Specifically, sebum is 25% wax monoesters (usually derived from an acid), 41% triglycerides, 16% free fatty acids, and 12% squalene (a biochemical precursor to a family of steroids). A build-up of sebum can give the hair and scalp a greasy appearance and is usually the result of poor hygiene or the onset of puberty. In this case, higher level of male hormones (androgens) can cause sebum production to kick into overdrive.